Making sure your audience is entertained is the key to being a great ringmistress. Whether that means subjecting viewers to wonders that they’ve never seen before, or exposing them to intense shows of violence is up to you. The one thing that is certain, no matter what kind of act you plan on rounding up for your show, is that you’re going to need an outfit for the occasion. You’re going to need an outfit that lets people know that you’re in charge. You’re going to need an outfit with exuberant style! You need the threads of this freak show mistress costume. All of the clowns in the big top are going to fall in line right behind you when you start leading the way. The women’s costume has a dazzling style that any ringmaster can appreciate. 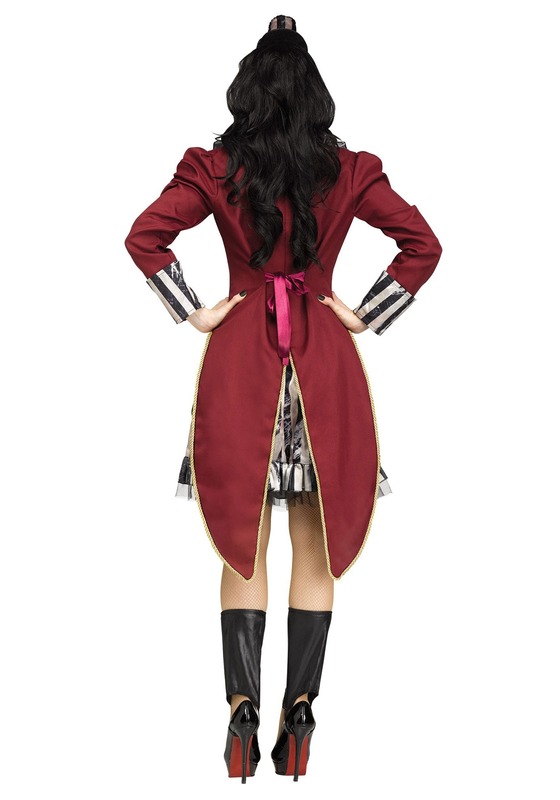 The costume comes with a royal red jacket with gold braiding that will have you looking ravishing. The tank style dress fits underneath for a look that should have you running the show in no time. 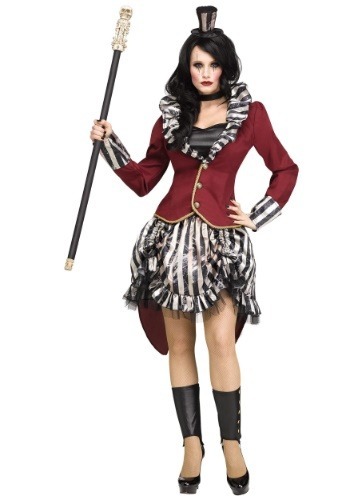 Of course, no ringmaster costume would be complete without a top hat and this one comes with a mini one that fits on your head. The costume even comes with a set of decorative spats to finish the look. The real question is, what will you do with your new look? Do you join the big top? Will you create an arena where crazed psychos engage in combat merely for your own amusement, or will you run a standard circus, complete with creepy clowns and wild animals? That’s totally up to you, but we recommend grabbing one of our canes or whip accessories to accompany you in your new career. Lead the way into this new freaky frontier! We're right behind ya.